Today, the gig economy is enabling start-ups, SMEs and large corporations with a global pool of talent that is on-demand and cost-effective. To make the gig economy work for you, you need to look at the bigger picture and work with strategies that will foster collaborative effort, increase productivity and keep that independent workforce engaged with you for the long-term. People no longer have jobs, they have “gigs” and are self-employed. 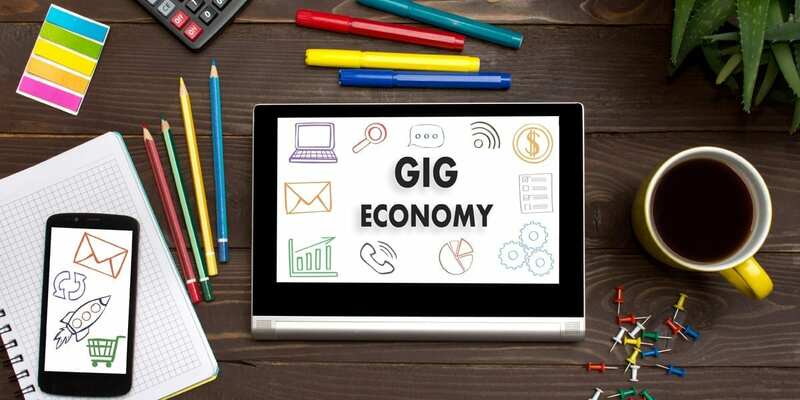 The gig economy is a network in which temporary positions are common place and organisations of all sizes contract with self-employed workers for short term projects to achieve their business goals. The past decade has seen a global surge in the number of people leaving their secure, full-time employment option to join the ranks of the new professional, self-employed entrepreneurs and are collectively creating the new gig economy. Professionals at all levels are opting out of the traditional 9-5 in favour of the agility, mobility and compensation control that independent work offers. The Workforce of the Future operates from a connected work place that has made self-employment even easier and more profitable. Professionals today welcome the idea of finding jobs online, working remotely and finding that work-life balance, even if it means not having job security. The new age professionals feel the entrepreneurial power and are in control of both their hours and their destiny. They usually work out of their couches at home, or are in their favourite cafe, or on a beach. They are living their dream, enjoying their work and delivering exceptional results, all within the connected workplace. Who are the employers of this self-employed workforce? The employers are primarily small and medium sized enterprises (SMEs) and some promising entrepreneurs who are looking to work with great talent and build awesome things together at a rate much lower than the market. The gig economy has also played a pivotal role in the growth of many start-ups and SMEs. Small businesses are making use of the connected tools and innovative platforms that empower both parties to make the best use of the benefits of this new economy. Employing gig workers is slowly becoming the norm for small businesses today – more out of compulsion than need. With staff costs sky rocketing, it makes sense to hire freelancers who are more affordable. SMEs can save resources in terms of benefits, infrastructure and training. And the benefits of the gig economy are many. It’s not just access to a massive pool of talent, but also additional clients that can be won through these platforms. Businesses now have the agility to try new ideas and take on more projects while still minimising the risks involved. It also helps both parties involved in expanding their ever-growing network and forming meaningful and mutually-beneficial business relations. For the model to be successful, all one needs, is a system that facilitates authentic work, fosters collaboration and has integrated workflows between the company and the gig worker community. For sustained success, a fool-proof system is a must that will help build long-term relationships. To let the gig economy, enable and add value to your business, you as a business owner need to provide your gig workforce with an online platform. Given the connected workplace, Quiddity can help bring your gig workforce together and foster collaboration and increase business efficiency. Quiddity, as your business platform, is a one-stop solution designed to help you focus on the business and your team. With seamless workflows, productivity is in line with business goals. Your team stays accountable through project management. Tasks can be assigned on the go and time can be tracked with timesheets. With Quiddity, you can increase your work efficiency, gain business insights, improve workflows, manage projects better and benefit from a customer centric approach. With a digital solution like Quiddity, your connected team can easily create tasks, stay on top of leads, track customer interactions, collaborate online and save on time.